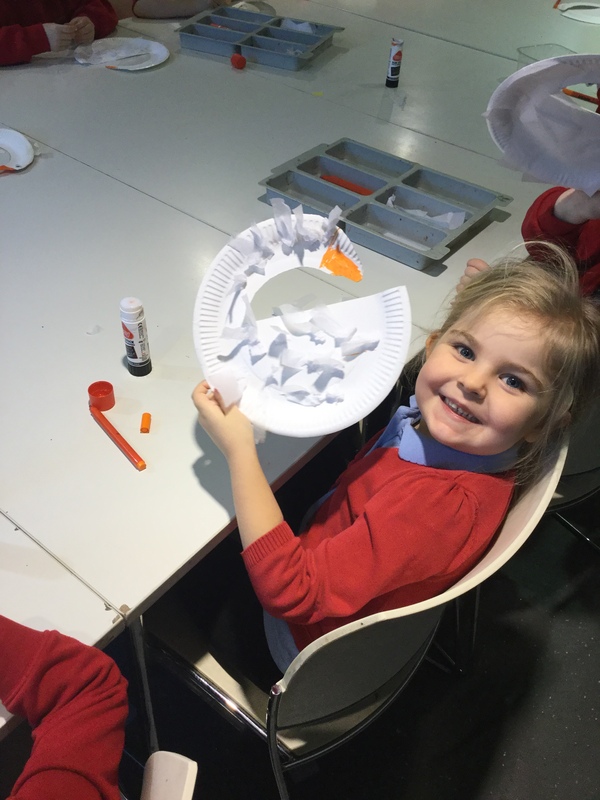 On Wednesday 13th February, a group of children from our after school Drawing Club attended Crown Street Library to take part in their ‘Art Project’ – themed Roald Dahl. In the first half of the session, the children listened to extracts from The BFG which was read to them by two staff members from the library. Next, the children were taken in pairs to meet Donna, a professional artist, who had many pots of paint ready for the children to decorate the amazing reading bench which is shaped like a book! Once the children had painted the back of the bench, they painted their thumbs orange and were allowed to leave a thumb print on the seat of the bench, where it will remain there forever! As well a painting and reading, the group played with lego, designed a book cover and drew a ‘Jar of Dreams’ from their very own imagination. 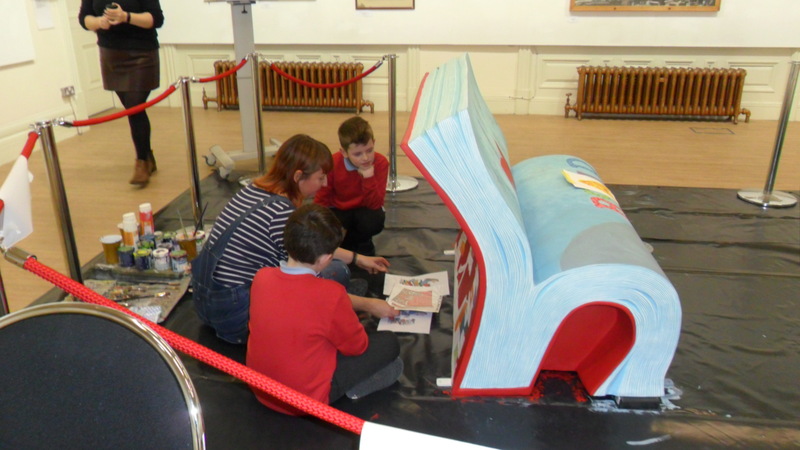 The library project has been running as part of the Darlington Bookfest Schools programme and the benches will be unveiled to the public during Festival Week. The children had a fantastic visit and they were excited to learn that their paintwork and orange thumbprints will be used in the library for generations to come! 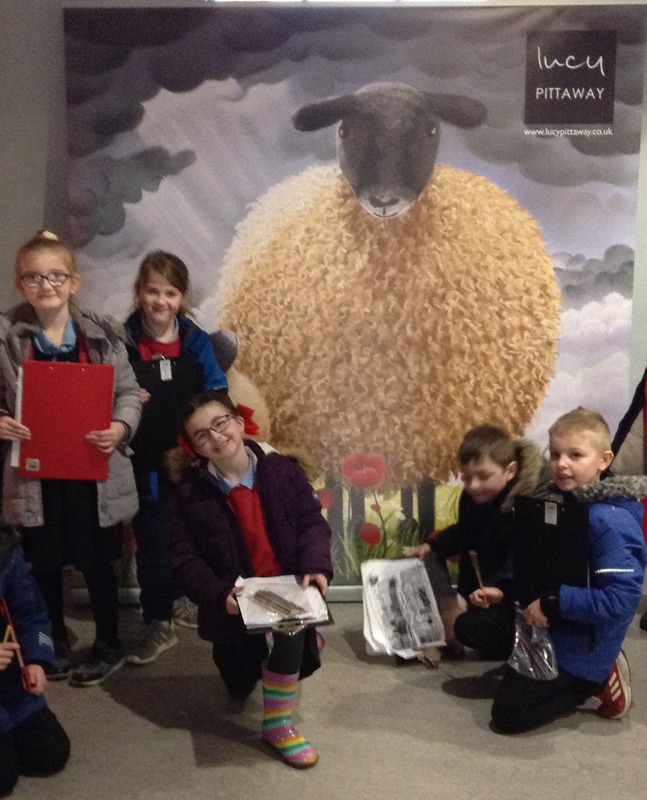 Our Art focus has been the Take One Picture project which involved a visit to The Bowes Museum to learn how to respond to a painting by Alexander van Bredael called “Cattle Market in Antwerp”. We enjoyed finding animals and other objects in the painting and had fun making masks and a swan. Later, in the summer, there will be the opportunity for parents to attend an exhibition at the museum where all the artwork we have produced in response to the painting, will be on show. 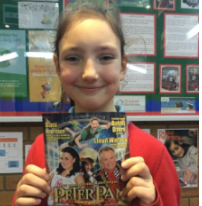 On Tuesday 5th February, Firthmoor Primary School celebrated Safer Internet Day 2019. The theme for this year was Our Internet, Our Choice: Understanding Consent in a Digital World. Classes explored the theme of consent/permission in various ways, including through role play, reading activities, watching videos and studying real-life examples. Children in Mr Jefferies’ Year 5 class, for example, learnt the definitions of important ‘data jargon’ such as Cookies and Terms and Conditions and then came up with their own responses to an imaginary online request to post photos online. In Years 3 and 4, children decided if they needed permission or not in online scenarios, while in Year 2, the focus was on knowing which websites, apps and games are appropriate. Mrs Irwin led an assembly which further explored the idea of consent and the Year 6 Cybersquad were also on hand at breaktime to answer any questions children had about staying safe online and using the Internet responsibly. Children from Y3VM and Y3/4SB went on a trip to Preston Park. Prior to our visit we studied a map of Tees Heritage Park, the area around Preston Park. We were able to follow the direction of the 8 compass points to be able to find our way around the map and see what physical features we would pass on our journey. Once at Preston Park we were fortunate enough to observe a Lucy Pittaway exhibition and see her art work in real life as well as find out how much the prints would cost to buy! We were shocked! The most expensive painting was £565! We also spent a lot of time in the Victorian Street, finding out what life would be like for the characters in our class text, Ice Monster. We visited a grocery store, a chemist, a sweet shop and a police station and found out how different life was like then compared to now. The museum is huge but we managed to make our way round the museum and its grounds by following a map of the area and reading the coordinates; in order to find the location of the different rooms within the museum. There was so much to see we could have spent another day there!